Love the content and the interface, but the lack of ability to download issues for offline reading is a serious problem. Please address this! Since the latest revision, downloads stop at 65%. I have contacted the Science membership customer service and they can't resolve the issue. I will have to go back to getting hard copies I guess. I’m an AAAS member but this app does not recognize email. This app doesn’t appear to be connected with AAAS. Totally useless. the app should only download an issue (especially the “current” issue) one time. but it seems that each time i launch the app it (very slowly, though that may be my own network connection) re-downloads the issue. and, maybe, having downloaded the “page view”, it *still* needs to download the “text” version of articles? network latency is important to minimize, so it would be great şf these issues could be fixed. cheers. I too can not login. Credentials work correctly on Chrome and Safari. Why have an app with your organization’s name on it that isn’t fixed quickly. Total embarrassment for the AAAS. Since they have introduced the revised interface, the offline mode is not working properly. I was looking forward to catching up on about 3 issues on a flight but despite selecting the “Download” issue button on each issue at home on Wi-Fi and allowing the progress bar complete for the 3 back issues, once I was out of Wi-Fi range, I get the “offline mode doesn’t allow using this feature” message. This is extremely frustrating since the whole point of downloading an issue is to read it when I don’t have a Wi-Fi connection. Previously, the interface would tell you which issues were downloaded and which were not downloaded but despite repeated attempts to download an issue, the interface never indicates any changes. Although, for some strange random reason one back issue was viewable offline but others were not. Why does the revised preview interface show progress of downloading but then disappears after 65%? Additionally, this download progress is confusing because it’s separate from the downloading of the older magazine view via clicking on the magazine cover image. It’s unclear what exactly is being downloaded in the newer preview mode. Please spend some time fixing these quality issues. As always, Science articles are valuable and well written. Accessing them is now the issue. The latest update to the app vastly improves usability on mobile devices. It is a far cry from the old version. I urge you to try it. Seamless transitions from the journal format to a digital-friendly format. Very impressive. You should try. 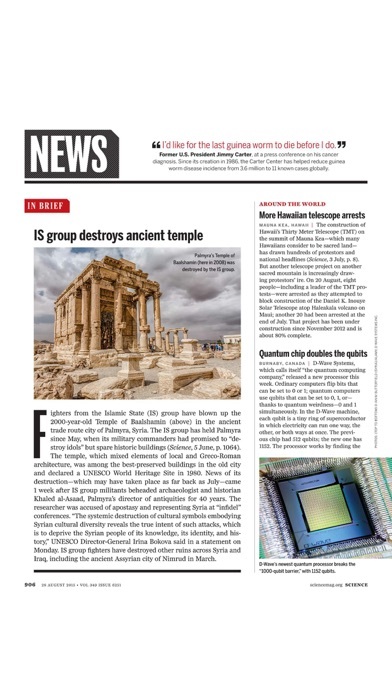 The journal format allows one to appreciate the work of editors and journal designers, to catch one’s attention, while the digital-friendly format makes reading a real pleasure. Thank you! Same authentication problem as most of the 1 star reviews. These reviews go back a year, so you would think the problem would be addressed by now. Back to the browser for me! I got this app on my (old) IPad to avoid having the print version of Science pile up in my house. For me, this app works flawlessly. And the reproduction of the journal on-screen is just beautiful. Hyperlinks in articles work nicely as does the table of contents, etc. I don't know what people are looking for in a journal app that is lacking here, but I am glad I ignored the low ratings and downloaded it. It's just fine. When it works it’s nice. You have access to he print pdf layout as well as a convenient e-reader format. You can also download issues for offline reading which is nice. However after multiple tries to work with customer support this feature doesn't work. Version 49, iPhone 10xsmax, ios12.1. Now useable by a professional researcher. Most of us read Science in two phases, (1) gossip /news/ lay summaries; (2) refereed papers in our field. When you’re online, (1) and (2) work well. Offline, (1) still works well. (2) requires me to have executed further online series of taps and verifications. Then it works. The icons for each issue are misleading on this complication. Same observations for the iPad version: quite useable, but offline takes special care and verification. Putting a magazine into an app, including offline reading, ain’t rocket science. The NYer, for instance, did it > 5 yr ago. And most of us spend more on our AAAS membership than on our NYer subscription. Well that was a waste of bandwidth. If you have an existing Science subscription, you can't read here without repaying. Nice. Basically, the app loads the PDF version with few extra fancy functions. The PDFs are not as fancy as the digital magazine of National Geographic in iPad; notwithstanding, the full texts in the Magazine is all I expect from a scientific journal. This is good enough. I'm satisfied with it. Even though I am a paid subscriber to Science, I am unable to access content on this app. 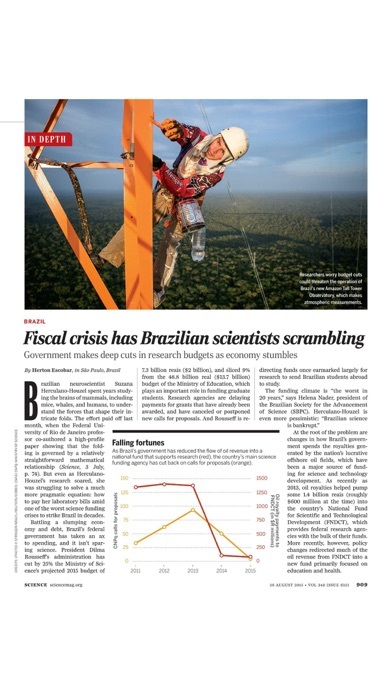 I can login on the ScienceMag website, and I was hoping that this would be a better optimized iPad reader. Instead, it is just a waste of time. AAAS needs to get their security and authentication worked out and needs to deliver a state of the art reader. Embarrassing for a large and well funded organization to be so inept with technology. I have been a subscriber for years and similar to others, I can't log in. Very disappointing. This app delivers a pdf of the magazine. It is very cumbersome on both an iphone and a Kindle Fire. I sure hope they get it together to offer a reader with a scalable font. I was excited about this and switched to an electronic subscription. You can download a pdf but can not zoom in enough to read on an iphone. So this is basically useless on an iphone. Maybe ok on a bigger screen. AAAS needs to update this app and their magazine. The content is wonderful, but this app is poor. Recently, it hasn't allowed me to access my subscription. When it does, it's an unwieldy pdf reader made fancy by a few links to page numbers. I was pretty excited about this app, but I can't actually access my subscription with it. I have an email logged in, but I've only had it work twice. Most of the time I log in but it won't let me open anything. I've had it for around 6 months and keep trying it in hopes that it'll work, but as I said before, I've only been able to download an issue twice. This is a very bare bones implementation for a journal of sciences caliber. It's essentially just a pdf reader. 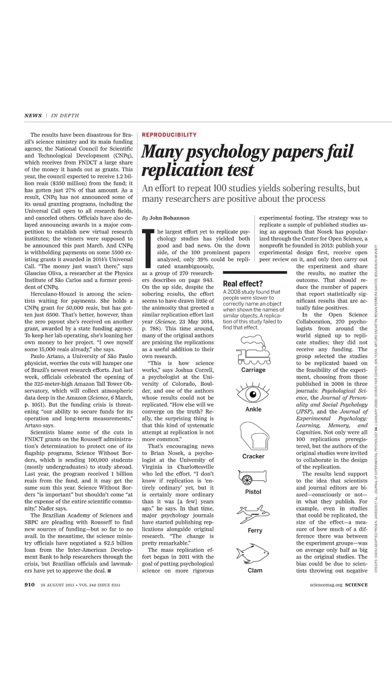 You download each issue as one large PDF, and can read by article. There are some great science journal ipad implementations out there, I hope science improves their version, and lifts their game. The other science reader app is just not very good either. This journal delivers great content and I really enjoy reading it. This app is an absolute insult to how great the journal is. I can't access anything as a paying subscriber. This app definitely needs a major overhaul to bring it up to par with the standards a journal of this caliber should be at. A dud with a long way to go. The app is slow, prone to crashing, clumsy to navigate, slow to update each page, displays low resolution images of the print magazine's layouts, and provides no content enrichment or display creativity. It provides links to "share" via mail or social media, but the option is lame: it links to a pay wall, and even then links to print pages, not to individual articles. Evidently AAAS doesn't get that the strategy of sharing via social media is to drive traffic to a web site on the strength of content, which then can be leveraged to sell subscriptions and products. As it stands, only subscribers can see any anything on the app or via "shared links," and even then only after first providing account credentials. How very disappointing. With their transfer from Zinio to the Apple Newstand, there is sadly no alternative other than using a web browser to read the online copy. AAAS is clearly clueless about the iPad/tablet publishing revolution. This is an embarrassment for a flagship science publication, to be so behind and so inept in adopting and taking advantage of modern technology and electronic publishing platforms. Does not recognize my login which works fine on Safari. Just became a member, in light of our current political reality. Would love to read Science through the app on my iPad, but I can't even get past the log in. My email address is unrecognized!? Get it together, AAAS--app access to your publications ain't rocket science. As so many others have posted, this app does not work, period. Sad. Looks like a nice app if you can log in. If I go to a desktop/laptop and use my credentials no problem Logging in. With this app I get a pop up that says it can't find my info for my subscription. They need to update the resolution. The old app worked. This one doesn't. Can't access subscribed material. Account information not linked between AAAS and the developers of this piece of junk. And no tech support provided - each too busy pointing fingers at the other. It would be nice to have a bookmark feature so I can find again articles that I like. Also, the share button doesn’t work. I don't know why others are having problems. I installed, signed in, and read the magazine. For some reason, no password was required--perhaps something was broken and AAAS has ¿temporarily? turned off passwords? Does not recognize logins or ids for AAAS members and subscribers. Needs to be withdrawn and fixed or not offered at all. As of November 2016, it no longer works. What is worse is that the AAAS web site now complains that my iOS 10 browser is out of date because it is newer than the software can recognize. At least my Nature subscription still works. The download of a full PDF of the journal is an improvement over the earlier versions. However, downloads that size can be very slow on an iPad. This version works more like an electronic form of a paper magazine--reinforcing a linear model. The earlier version often seemed to hide parts of the paper issue from direct access through the application. Please fix it, it would be nice to view the magazine in the iPad. It's not an actual magazine app, like The Atlantic, where you can download content to read offline. It's a website bookmark, which simply does not work. Unable to even authenticate. Have stopped bothering and use mobile Safari, which makes the print subscription indispensable. This app is a reflection of AAAS. 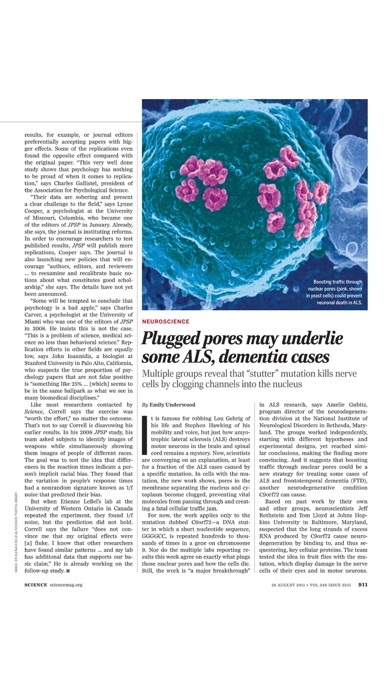 I am a long time AAAS member and subscriber to Science Magazine. This app does not recognize my log-in credentials, even after contacting the member service department three times, and being assured that my account is all in order. But not much. Scrolling around a facsimile page without even the option of viewing in landscape mode is pretty inconvenient. It is possible to zoom in & get print big enough to read, but at the expense of much more scrolling, sometimes even zigzagging in wide text boxes. Pretty lame, AAAS. Not really an app, the best AAAS can do?? My experience is on an iPhone 6. This app really just seems to be a PDF page viewer. After downloading an issue, you scroll through (tiny) page after page, zooming and moving about read? There doesn't seem to be any way to bookmark you position either, so it is manual to come back to where you left off. This is essentially unworkable on a phone, I'm sure an iPad would work better, but it is a sad effort for "Science" compared with the competition from across the sea. Same issue as #1. 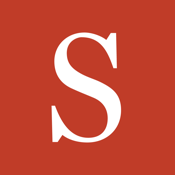 Doesn't recognize my login which has been active since sciencemag went on line. 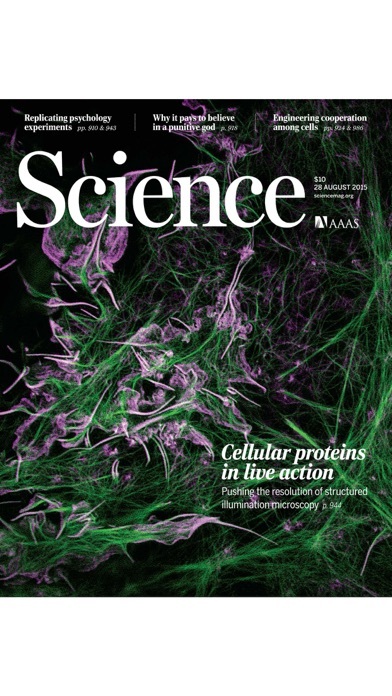 Longtime subscriber to Science, looking forward to reading issues on the iPad. Unfortunately, I cannot access my subscription on the iPad. Multiple requests to AAAS for help ignored. App is useless. Does not let me access my subscription to the journal. Won’t authenticate login. Ridiculous that they haven’t fixed this. I'm a PhD student often on the fly and was really excited when I stumbled across this app which I thought would make reading Science easier...This app is terrible. I bought a year's digital subscription of Science just because I thought it would be great to be able to read the journal on my phone. Very hard to read on your phone. Thumbing through pages is extremely awkward. You often find yourself having to relocate where you were. You can also not zoom in beyond a fine print scale. I'm switching back to print. I have an active account but this app will not accept my email address. Why bother asking for it? Will stay with the web access. Nothing works. Loyal subscriber -- Agree 100% with previous post. Get it together, AAAS. I'm quite sure of my AAAS login credentials, and this app cannot recognize the username (email address). They should get a better developer. My login works perfectly fine on my computer, but I cannot log in with this app. I hope this is updated, I would love to have access when I cannot take my computer with me! I've been using this app for years. I have been busy and not logged in for a while. It would not load a page, so I reinstalled. Now it wants my email not my login name. It will not take my email name. I can still log in on my browser. 😞 used to be a nice app. It's broken now. Erratic login success makes use a lottery, and constant waste of time. Even when functional the reading experience is limited. How crazy is it that the foremost science magazine cannot get an app to work? I rarely work at a proper computer anymore (where I can access a digital version of my subscription). I guess I'll drop my subscription, it's become a waste of money. Unable to log in to the app. I would love be the able to view the magazines on my mobile device. This used to be a great app with flawless functionality, but since the midterm elections it refuses to load full articles, but so does the Science website. You can wait forever and it’s like the 1990s. I don’t know if the trouble is the app or the the failure of net neutrality, but someone needs to find out.